so i love headbands...especially ones that make me feel like I am a hippy....i know, no surprise there. i am always looking for hippy inspired headbands to add to my collection. so one night, late night when I couldn't sleep I was creeping on instagram. How do you creep on instagram you ask? 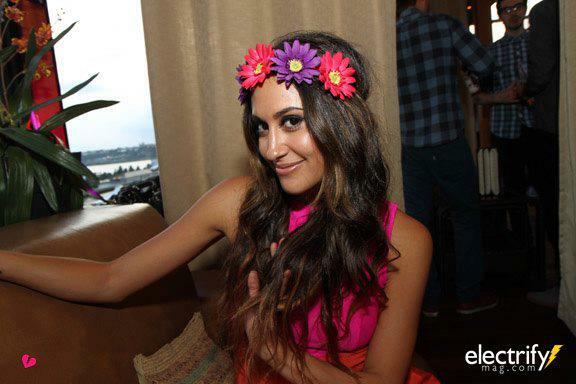 Well instead of looking at pictures of the people you follow I usually look at the pictures who my followers liked....ok now I sound like a weirdo ha...but moving on - while doing that one night I came across a picture of a girl wearing this amazing flower hippy headband....i was in love. so I clicked the picture praying to the hair gods that either it was her who made that headband or she tagged the person who did.....& luckily she tagged the person who made it. I was intrigued. so i click to go to her profile & in her bio it says 'NYC's favorite flower child'.....flower child?? a light went off in my head instantly ---> omg shes a hippy headband lover too...so for the next hour I creeped looked at all of her pictures....& wow is she beautiful & so are the pieces the makes. After more creeping researching on google about That Madonna Girl I found her site. & oh man was it beautiful. It was hippy heaven. I was beyond obsessed. So of course I bought a halo. What's a halo you ask? Oh ya know that's just what she calls her adorable headbands - 'Halos' ...I mean can you get any cuter than that!? They come in all kinds of colors & types of flowers. I was super excited when the halo arrived! I put it on instantly. I loved how comfortable & easy to wear it was. It has leather ties so you can adjust it to fit your head perfectly. Its so lightweight you can't even feel it on you head....even Dolce loved it. 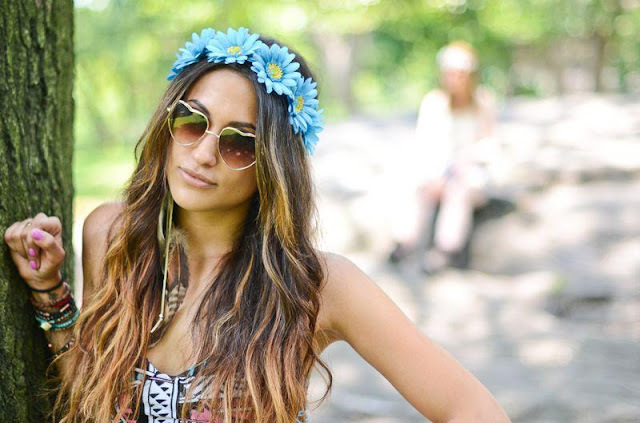 ThatMadonnaGirl: 23 year old designer and fashion addict. MDH: How did 'That Madonna Girl' come to be? TMG: The idea came to me one night in a dream. 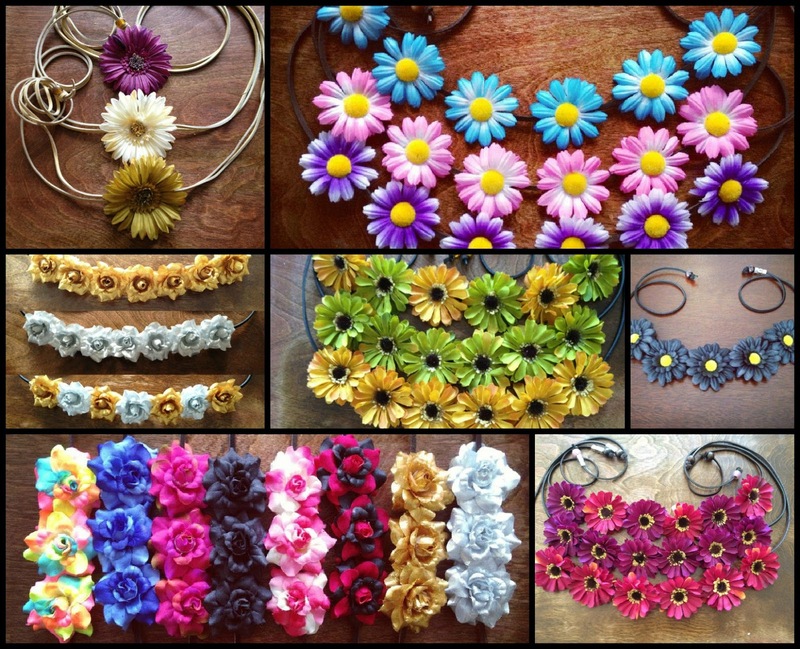 After searching for similar products on the internet I couldn't find any flower headbands i liked. That day i started making them for myself. Eventually little by little it turned into a business and before I knew it I was filling out paperwork for a corporation. MDH: So, I love your motto 'Flower Children Only', how did that come to be? TMG: I’m not exactly sure how that motto came to be. One day I wrote it on the main page of the site and it just stuck, I feel like it goes with the company and my customers really well. MDH: Do you personally make each halo? TMG: I personally make a lot of the halos. But the company has grown so much so I do have a lot of help now. I wish I could still make every single one. But I want to grow the company and work on a lot of other things so it’s nice to have a couple employees helping make halos. MDH: I see you name your halos after girls. Are they named after particular people or just for fun? TMG: All the halos are named after my friends. And now I name them after my flower children - girls who have purchased halos. Sometimes a flower child will special order a halo and come up with an amazing design i will put it on the site and name it after her. MDH: What is the most exciting thing that has happened to your company since starting TMG? TMG: A lot of really cool things have happened to me since starting TMG. But I think the most exciting is every time I run into someone wearing a halo. It happens a lot but every time I am still overcome with joy. It makes me so happy that girls are enjoying my products as much as I do. MDH: I have seen celebrities sporting TMG halos; can you give us any fun details on what that was/is like seeing celebrities wear your pieces? TMG: It’s the most exciting thing knowing a celeb loves my product. Seeing Paris Hilton was very exciting because she absolutely loves the halos. It was so much fun because she tried on every single one and i pretty much gave her one of everything. She looks awesome in the halos. MDH: What is the future/upcoming for TMG? TMG: We are hoping to eventually turn TMG into a whole lifestyle and accessories brand. We want to sponsor parties and plan festivals and rage right along side the girls who buy our products. Feather earrings are coming soon and catch us Ultra Music Festival & Coachella! thank you so much Michelle for letting Messy.Dirty.Hair interview you! 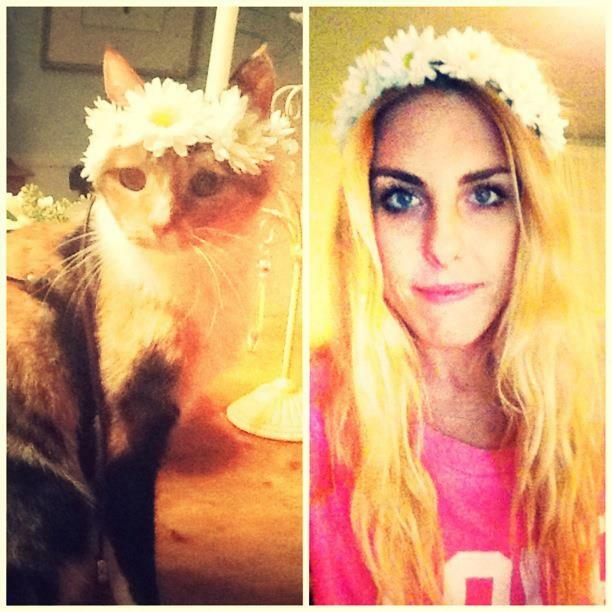 So um Michelle can I be one of your flower children...ha ha...no but for real? 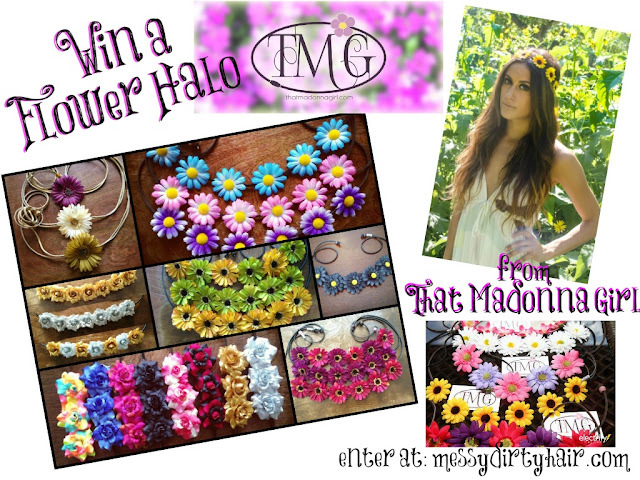 Because she's amazing, today That Madonna Girl is offering you Messy readers the chance to win one of her beautiful Halos so you too can be a flower child!!! Love them but am I cool enough to rock one? I don't care whether they would work on me or not I would wear it proudly!! love love love! so pretty! The kimmy! it would go with everything! LOVE IT! I probably wouldn't be able to pull it off but I wish I could! They are soooo cute & soooo you! Not sure I could pull one off though? Maybe at the lake in the summer? They're all so gorgeous - but I am really loving the Jane! oh I totally creep on instagram also. Is that weird? How cute are those! Perfect for sunny Cali! Such a fun giveaway! Loving the Casey! Love the pretty floral crowns/headbands! i love the JANE! i love love love blue! My favorite is definitely the Michelle.